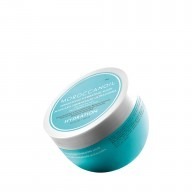 Bring back softness and manageability to your hair with Moroccanoil The Smooth Collection. Featuring three luxurious Moroccanoil products—and a FREE cosmetic bag—this collection gives you everything you’ll need to pamper your hair this spring. This set features argan oil and AminoRenew™ technology, which works to fortify your hair’s natural keratin structure, for results that can last up to 72 hours. 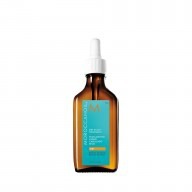 Couple that with Moroccanoil’s fabulous hair treatment—known for its incredible nourishing and repairing properties—and you’ve got locks that are not only frizz-free, but also smooth and luscious. 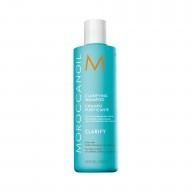 Massage the shampoo throughout wet hair and scalp, before rinsing off thoroughly. Then, gently squeeze excess water from hair before applying the conditioner from mid-length to ends. Leave on for 1-2 minutes before rinsing well. 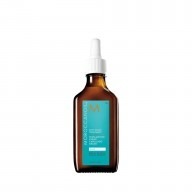 For the treatment, apply 1-2 pumps to clean, towel-dried hair from mid-length to ends. Then, either blow-dry or let hair dry naturally for smooth, tamed results.